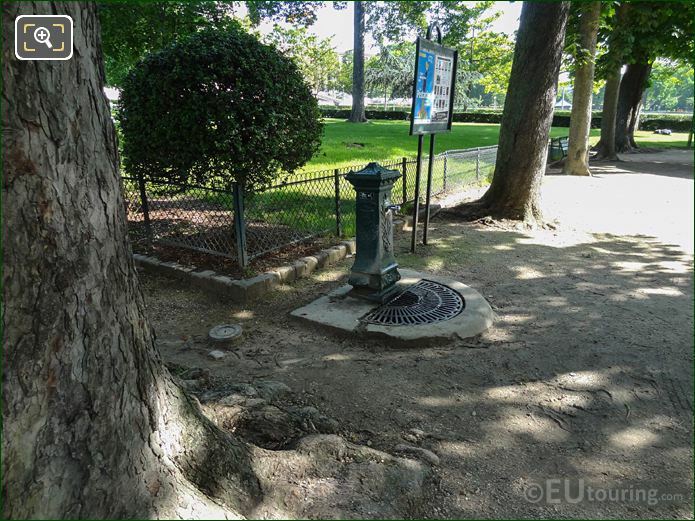 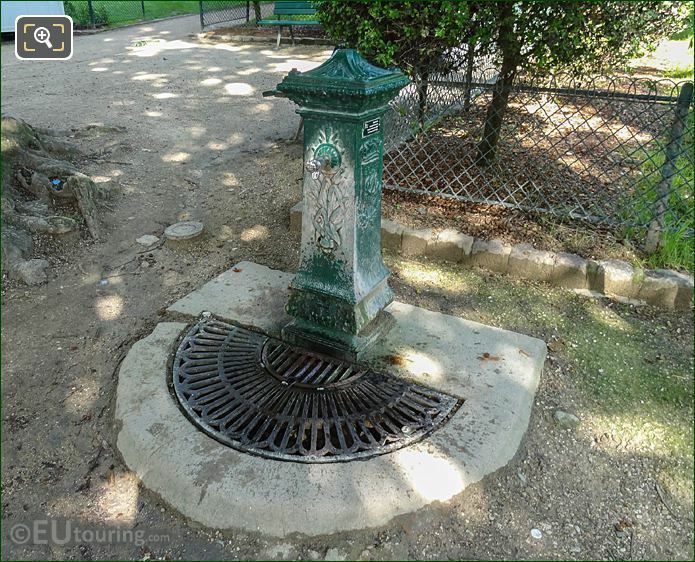 While we were within the Jardins du Trocadero in the 16th Arrondissement of Paris, we took these high definition photos showing a drinking water fountain, referred to as a Wallace Fountain. 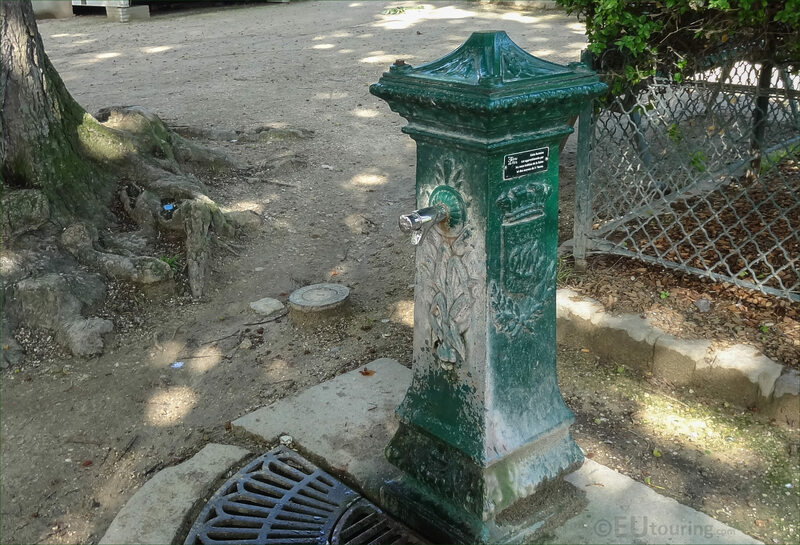 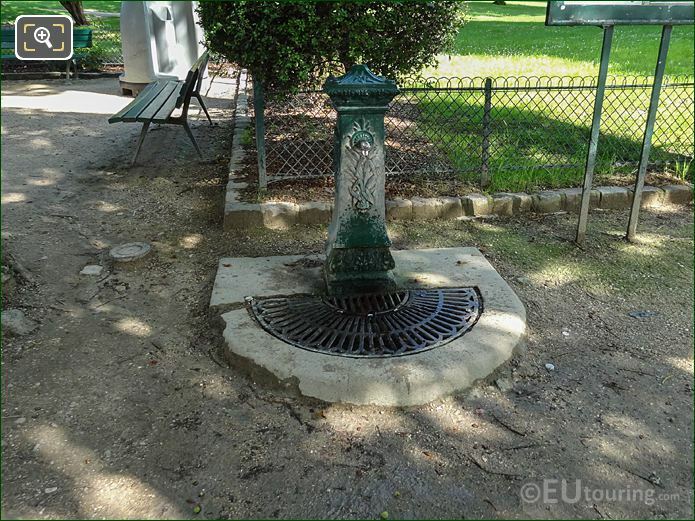 This first HD photo shows one of the traditional drinking water fountains that can be found all over Paris, which are made of cast iron, then painted a traditional green colour to blend in with the environment and are operational from March through to November, yet are shut off during the colder months to stop frost damage, etc. 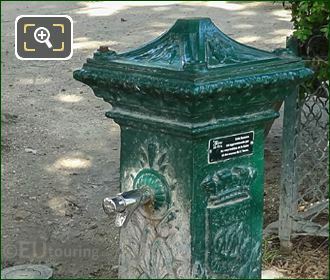 As you can tell from this close up photograph, this is a push button fountain and classed as a Wallace Fountain, named after Sir Richard Wallace who instigated the design and installation of these, there were different models of drinking water fountain, with this one being the most popular, which can be seen in numerous parks and squares, including in the Trocadero Gardens. Now this particular drinking water fountain can be found within the south westerly side of the Jardins du Trocadero close to the children's playground, which is a welcome sight for both locals and tourists who wish to fill up their water bottles with refreshing drinkable water, known as Potable in French. Here you can see the entire Wallace Fountain that stands at a height of approximately 1.3 metres and has a grate at the bottom to catch any spilt water, and utilising the same water system that is supplied to homes and hotels in Paris, these are regularly checked to ensure they are operational along with the quality of the drinkable water.